The most important element of communication is intent. Why? Because intent is always the first thing people hear. 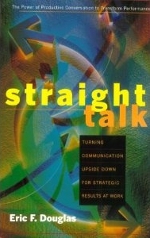 If it is a positive intent, it sets the stage for productive communication. If it is negative, it can overwhelm everything that is said and make words meaningless. You set the tone with your intent. A positive, affirming intent paves the way for open communication. It enables people to feel relaxed and communicate in their natural style. By using a tone that communicates your desire to hear what the other person is saying, you lay the foundation for trust and mutual respect. “Remember, every communication is two conversations, the spoken content and the body language. The body language always trumps the content when the two are in conflict” – Nick Morgan, Power Cues. You have to be a master of your intent before you can become an effective communicator. For example, if a colleague is speaking angrily, you will no longer pay attention to what they are saying. Instead you’ll be asking: What got them so upset? What do I have to do to get out of this situation? What’s wrong with him or her? Conversely, if a colleague is speaking with positive intent, then you will listen carefully to what they say and feel comfortable responding in the same manner. The point is intent – not content – is the main thing that people listen and respond to. To be able to communicate effectively, we need to have an affirming intent. It’s reflected in a willingness to listen, to ask questions, to understand other peoples’ points of view. It paves the way for open sharing of ideas. When we affirm, we allow space for other peoples’ ideas and knowledge to surface. There are three other forms of intent. We use them as strategies to try to get things our way. The first is a controlling intent. When we have a controlling intent, our purpose is to persuade or to influence at the expense of other peoples’ points of view. There is little opportunity for sharing of ideas. When we relinquish, we surrender our position. We stop participating and only accommodate. At some level it is passive aggressive communication – it’s a way of saying, “I’m taking my marbles and going home.” Relinquishing often occurs when we are matched up against a controlling intent. When we defend, our intent is to fight for our position. We don’t want to give an inch. A controlling intent against a defending one can escalate into real conflict. 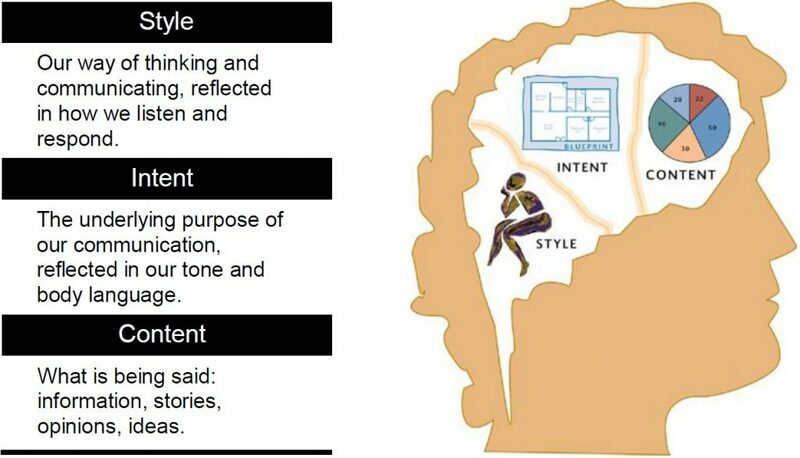 Which of these forms of intent do you see most in your workplace? 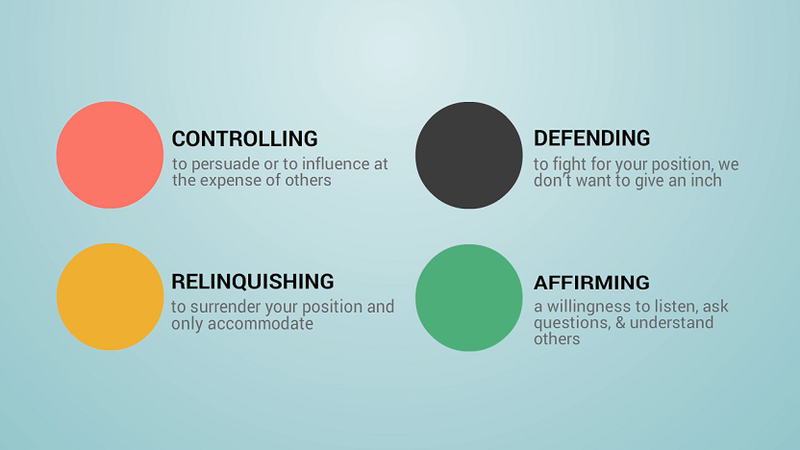 How much more productive would your workplace be if everyone used an affirming intent? We exhibit controlling, relinquishing, and defending intents more often that we like to admit. When you feel yourself becoming defensive or controlling, tell people why you are feeling that way. If you explain what is motivating you, and then inquire into the other person’s concerns and motivations, you can quickly defuse the situation and find your way back to the positive intent that ensures communication will be productive. Do you feel that there are situations in which an affirming intent is simply not possible? When I’m under attack or being criticized. When someone else is being a bully. When it’s simply not worth the effort. When people aren’t very friendly. While there are circumstances where an affirming intent is difficult, it’s still the case that the most effective communication occurs when it’s present. The key message is: When the stakes are high, and the outcomes are important to you, learn the discipline of using affirming intent. It will always work in your favor. What aspects of communication reflect an affirming intent? Showing genuine interest in my views. A moderate tone of voice. In order to use communicate styles effectively, we have to lay the groundwork for positive communication. Using an affirming intent establishes mutual respect: It’s the foundation of trust. If we do this, we can use more advanced skills of communication. If not, it’s back to the same old thing. To learn more and share this concept, we’ve prepared a follow-up PDF you can download and share.